Can you believe the 4th of July is already here? June went way too fast! 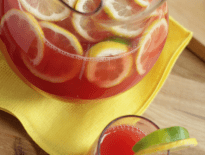 Do you have your 4th of July party menu finalized? 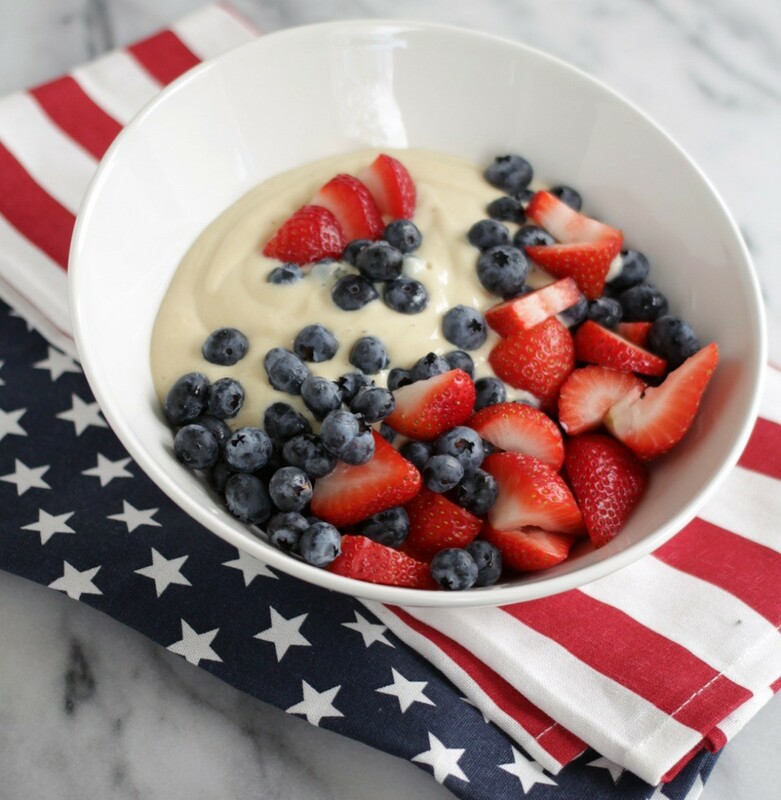 Are you looking for a healthy red, white and patriotic blue dessert that uses fresh summer berries? Look no further and try our super sweet and easy vegan vanilla cream summer berry salad. We think the best recipes are the ones that don’t take a ton of effort, yet still turn out super cute, taste delicious and make people REALLY happy. Our vegan vanilla cream summer berry salad is simply delicious and your guests won’t even know how healthy it really is. All they’ll know is that they’re glad they got invited to your 4th of July barbecue and they want more of your healthy mouth watering vegan vanilla cream summer berry salad! 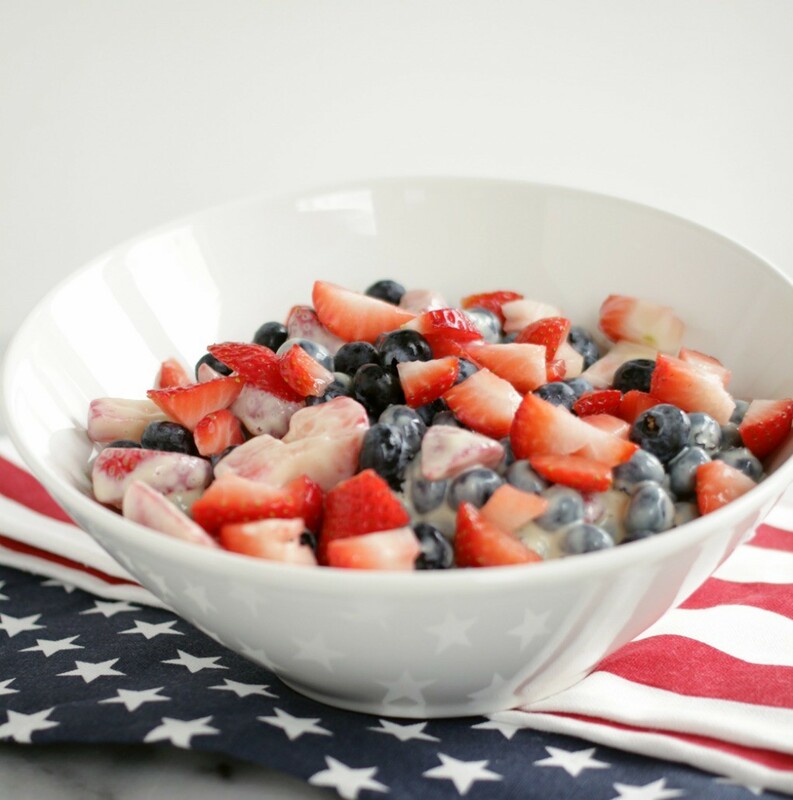 To achieve the perfect balance of red, white and patriotic blue just stack and layer your red and blue berries in any combination that makes you happy. Add your vanilla cream and gently stir for a beautiful healthy fruit salad . 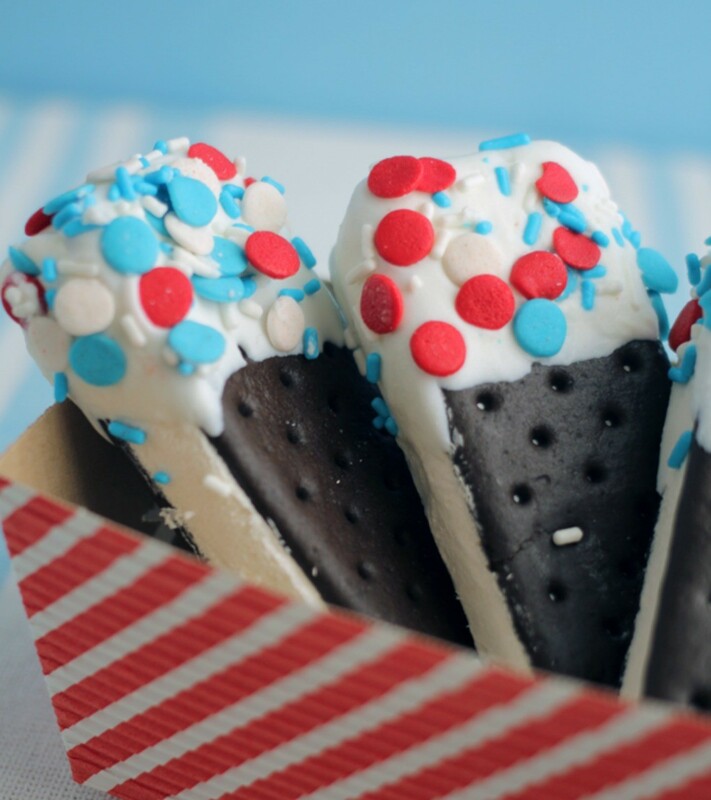 When you build these patriotic treats in individual serving glasses you’re sure to achieve that exclamation of… awe aren’t these adorable and so fun from your guests! 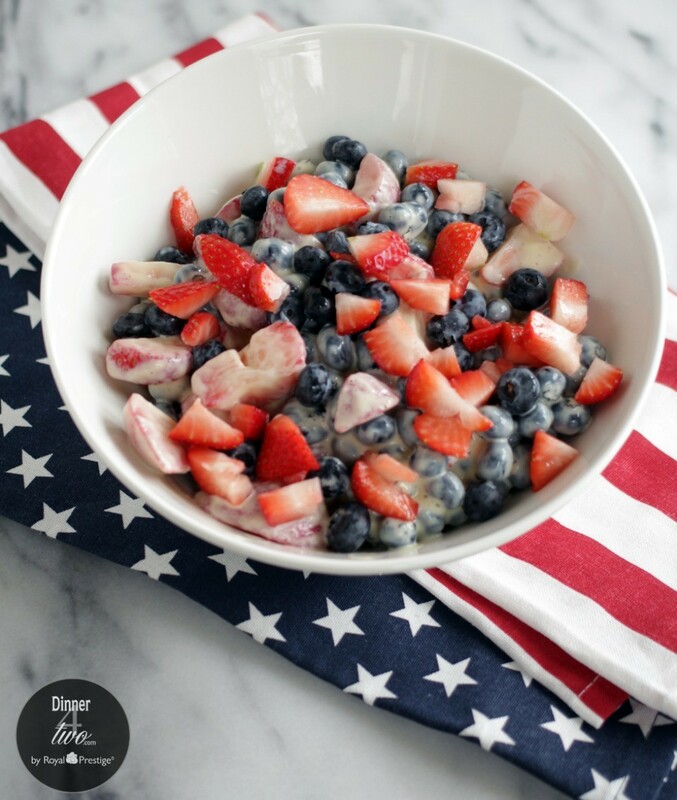 Layer your berries in individual serving containers and spoon the creme on allowing it to run and seep down in between the berries creating the ultimate in patriotic perfection. To make them even more festive you could tie ribbon around your serving containers. The vegan vanilla cream is the perfect companion to anything you would put whipped cream on but just want a lighter healthier type of cream. Try spooning it on sweet breads, cakes, pies, fresh fruit, tarts, and more. Your choice of various fresh berries and fruit. You may want to slice strawberries. Mix together in the Royal Vortex or a food processor, tofu, sugar choice, orange liquor, peaches and juice and vanilla, pulse until smooth. If a thicker consistency is desired pulse 4 or 5 times. Put in refrigerate for 30 -45 minutes and it is ready to spoon over your berries.